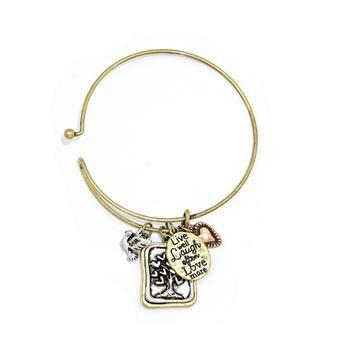 "Live Well Laugh Often" Tree of Life Bracelet. Size : 1" H, 2 3/8" D. Hook Closure. This bracelet is perfect for yourself or for gift giving.